Books and CD-ROMs, Carolyn DeMarco M.D. Content That Investigates The Core Issues. 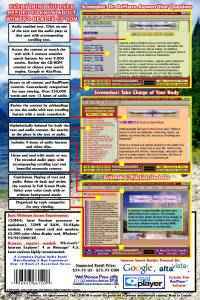 Pre-Programed Internet Searchs. Want To Know More? Then Let Us Do The Typing. Hours of Fully Indexed Text and Audio. Find Out What You Want To Know Fast! 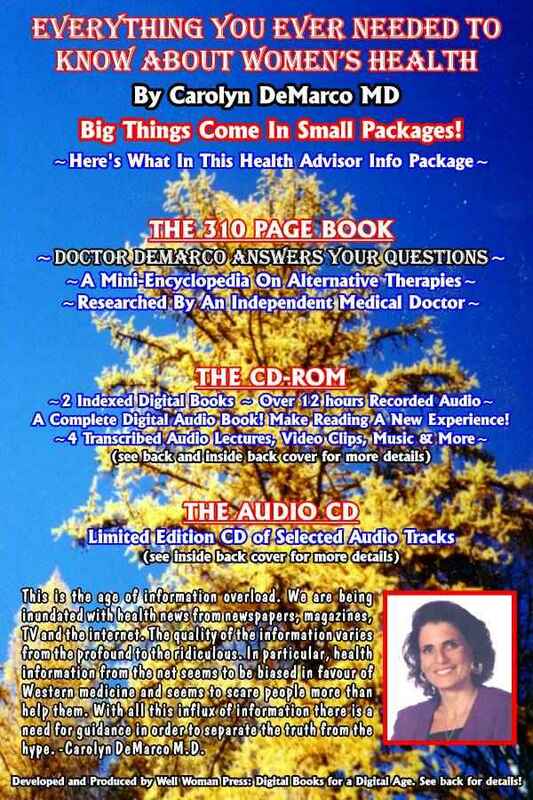 Here’s What’s On The CD-ROM: The complete contents of the book, Doctor DeMarco Answers Your Questions delivered in both text and audio. 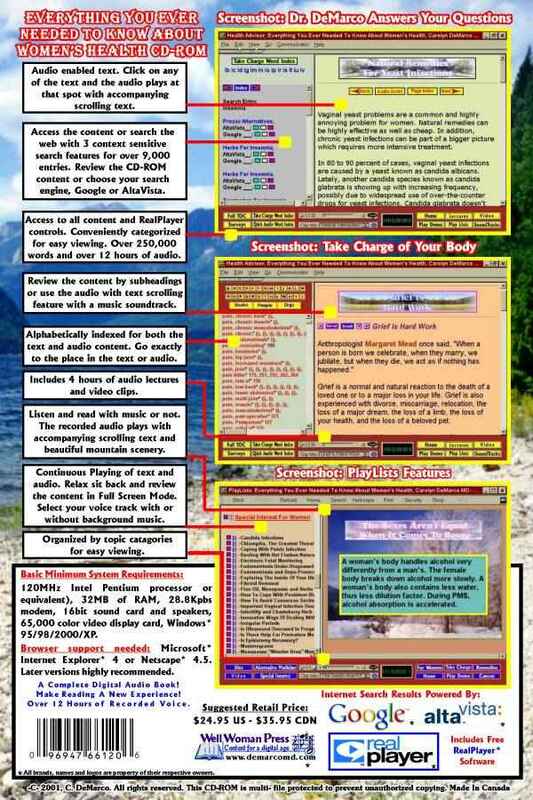 Includes natural remedies for common health problems, concise answers to the most asked questions and natural medicine factsheets. 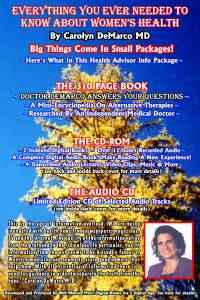 Here’s What’s Also On The CD-ROM: The complete contents of the Best Selling Book on Women’s Health, Take Charge of Your Body by Dr. Carolyn DeMarco. This digital version of the printed book is fully indexed with content that takes you to the heart of the matter with understandable and accessible information. (RealPlayer Presentations) Don't Have RealPlayer? 5 or more $11.97 each (5 copies for $59.85) a 40% discount!